← What makes people turn away? The stabbing, sexual assault and murder Catherine Susan “Kitty” Genovese on March 13, 1964 near her home in Queens in New York City has a permanent place in history – more specifically social psychology’s history – due to the circumstances leading up to her death (Manning, Levine, & Collins, 2007). Two weeks after the Kitty’s murder, a newspaper article written by former Pulitzer Prize winner Rosenthal wrote; “For more than half an hour 38 respectable, law-abiding citizens in Queens watched a killer stalk and stab a woman in three separate attacks in Kew Gardens.” (Cialdini, 1998, p.197). This news prompted public outcries suggesting that society has become callous, apathetic, and just didn’t care enough about each other (Cialdini, 1998). Two New York psychology professors – Bibb Latané and John Darley – were inspired by the so-called apathy of so many alleged eye witnesses and set out to explain the phenomenon, eventually defining it with the bystander effect (Latané & Darley, 1968). The bystander effect is where “people are less likely to provide needed help when they are in groups than when they are alone” (Weiten, 201, p.694). 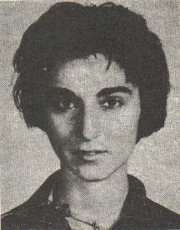 Since Latané & Darley’s theorizing and experiments, there have been many arguments against their research, including defying the original Kitty Genovese shock that 38 eye witnesses did nothing, refinements on what could formulate the bystander effect, and challenges against how social psychology experiments are theorized. In the following text I shall examine these conflicting theories. Rosenthal’s March 1964 article opened under the headline; “37 Who Saw Murder Didn’t Call the Police. Apathy at Stabbing of Queens Woman Shocks Inspector”, with the article describing 38 of Kitty Genovese’s neighbours watching 3 separate attacks – with the attacker being frightened off twice by “the sound of their voices and the sudden glow of their bedroom lights” (Cialdini, 1998, p.197). The article goes on to say that not one person phoned the police during the attack, with one witness calling after the woman was dead. Psychology professors Latané and Darley were attracted to the story, and after examining the information they theorized using their current understanding of psychology that the reason no one had helped Kitty Genovese was because there were so many observers (Cialdini, 1998). Latané & Darley theorized that this bystander effect was caused by two factors in particular; 1) the diffusion of responsibility and 2) the pluralistic ignorance effect. The diffusion of responsibility follows that when someone is by themselves they can not reasonably pass the responsibility of helping someone onto someone else (therefore they are more likely to help), whereas in a group it is much easier to presume that someone else will assist if action is required (reducing the likelihood of helping). The pluralistic ignorance effect is when there is uncertainty as to whether a situation is an emergency or not – which is strongest amongst groups of strangers (Cialdini, 1998). An individual will look around a group to see how others are reacting – and if no one else in the group is reacting as if an emergency is going on, then it is easier to conclude that the situation must not be an emergency. However, the individual is unaware that everyone else in the group is also scanning the non-reactions and misinterpreting the non-action as a non-emergency. This conflicts with the concept of safety in numbers. Latané & Darley (1968) performed a number of experiments seeking to understand bystander intervention, including measuring helping behaviour from groups versus individuals during epileptic seizures and smoke leaking from under a door. The research has been criticized, in particular by Manning, Levine & Collins (2007) and Cherry (1995). Manning et. al (2007) bring up some interesting points about the inaccuracy of the initial Rosenthal article and the witness testimonies – the information Latané & Darley sourced for their initial theorizing. In particular, Manning et. al (2007) found research by local historian and lawyer Joseph De May that indicated that not all of the 38 witnesses were eye witnesses as the article had claimed – as some had only heard the attacks – and none of the eye witnesses could have watched Kitty or her attacker for 30 minutes as they were not in view for long, and that there were only two attacks rather than three. Another incorrect point was that Kitty Genovese was actually still alive by the time the police arrived (Manning et. al, 2007). This is an important issue as Latané and Darley studied and eventually theorized the bystander effect from inaccurate information. Although the concept of bystander intervention has been widely accepted, Manning et. al (2007) argue that Latané and Darley’s experiments neglected to include situations of physical attacks that would more accurately simulate the situation of Kitty Genovese and the 38 witnesses; their experiments “neglected to translate other important features of the Kitty Genovese murder into the experimental paradigm” (Manning et. al, 2007, p.559). What was also failed to take into account was that in 1964 there was no 111 service which made calling / getting through to the police more difficult. Another issue was that during the 1960’s there had not yet been the woman’s rights movement, therefore violence against women was more accepted (or perhaps the better word would be “ignored”) than it is today – which could have reduced the witnesses motivation to intervene. It is likely that the witnesses were not affected by the pluralistic ignorance effect as they would not have been able to viewed and assess each other’s behaviour accurately or effectively from their own apartments. More over, Manning et. al (2007) believes the story of the 38 witnesses and the effects of negative helping within groups has caused psychologists to “Be slow to look for the ways in which the power of groups can be harnessed to promote intervention.” (Manning et al, 2007, p.556). Cherry (1995) took another angle of criticism on Latané and Darley’s research, claiming that the Kitty Genovese murder was less to do with the bystander effect, and more to do with the stalking and murder of a white woman (Kitty Genovese) in a middle class area by a black man (Winston Moseley) – therefore it was actually about male-female correlations where this murder was another instance of violence directed at a woman by a man where no one intervened (Cherry, 1995). Cherry goes on to explain that there is an innate issue within social psychology, where “social psychology becomes a powerful post-dictive science of meaning more than a predictive science of control based on the models of physical sciences” (Cherry, 1995, p.17). One of the major points that Cherry brings up with the issue as to how social psychology has studied and theorized bystander intervention is that it has lacked a sociocultural analysis – the experimenters generate their hypothesis and theories created from the meaning they glean from their own experiences and their own cultures. Therefore each experimenter constructs their own version of an incident (in this case the Kitty Genovese murder and the bystander effect) within the construction they had built in order to interpret their version of life. (Cherry, 1995) In other words – similar to Manning et. al (2007) point of view that psychologists are being slowed to look for other ways, interpretations or causes – social psychologists are in danger of studying and theorizing within the understanding of their own experiences and cultures, which can taint any results and findings. The TV documentary entitled Bystanders (1998) provided an example outside of the normal bystander intervention, where a woman ran from a car with a man in pursuit. As the man caught up and began beating her, a bystander begun to move forward until another man from the car called out to be careful, as the pursuing man had a knife. The bystander was not affected by the diffusion of responsibility (as he was the only one looking to help) or the pluralistic ignorance effect (as there was no one else around except the man who remained in the car to judge if it was an emergency). The bystander was not alienated or depersonalized, and there was no easy way for the bystander to pretend there was no emergency. In this example, the bystander fled, they did not act due to fear of personal harm. This resonated with another bystander interview from the documentary from a man who did not intervene a woman being terrorized on a train, and another as to why a woman did not confront a mother hitting her child: they did not intervene for fear of physical harm. However, there is also the story from the documentary of the man chasing a hit and run car, an old lady trying to take a gunman’s weapon and balaclava to foil his robbery attempt, and the young man who was shot taking down a gunman to protect a crowd outside a nightclub. What makes these people different from the bystanders too afraid to act? Perhaps this has something to do with what Cherry (1995) has been saying: just as experimenters generate theories from the meaning they create from their own experiences and cultures, perhaps each bystander should be analysed and assessed by their own experiences, cultures and backgrounds. Can helping behaviour be encouraged? Are there certain cultures that are more likely to intervene than others? Is there a helping gene? Can bystander intervention be learnt? These are some questions that could be investigated further. Overall, social psychology is – along with any other theory based science – subjective. It begins as a theory and is heresy until such as time the experiments, studies, critics and humanities’ continued increase in knowledge either strengthens or weakens each theory by statistical validity. Cherry, F. (1995). Kitty Genovese and culturally embedded theorising. The Stubborn Particulars of Social Psychology 16-29. London: Routledge. Latane, B., & Darley, J. M. (1968). Group inhibition of bystander intervention in emergencies, Journal of Personality and Social Psychology, 10, 215-221. Manning, R., Levine, M., & Collins, A. (2007). The Kitty Genovese murder and the social psychology of helping. American Psychologist, 62 (6), 555-562. Television Documentary on Bystanders, (TV 1, 18/3/98). Weiten, W. (2010). Psychology: Themes and Variations. (8th ed.). Belmont, CA: Wadsworth, Cengage Learning. More about SDL, visit the official SDL website or join us on Facebook. This entry was posted in Psychology and tagged bystander effect, Kitty Genovese, psychology, sdl. Bookmark the permalink. Cherry makes a interesting point, that will make me look at all experiments a little different… Peoples view and points on both sides of the experiment or study would greatly effect the outcome. Also a persons cultures, like how they were raised, their surroundings, and personal relationships would play a part. I don’t think a helping behaviour can be encouraged, but I do believe it can me learnt for a early age, instilled by parents. Great article, thanks for sharing!